We like to think we’re in charge of our feelings, that we react appropriately to what the world brings us. But do we? Blood sugar changes may have more control over our feelings than we think. In particular, low blood sugar can cause us to feel threatened, leading us to show anger. These reactions can cause pain and discomfort for the people around us. If they happen at work, they could cost us our job. How do low blood sugars affect our emotions, and what can we do to avoid this problem? Many people experience low blood sugar when they don’t eat. 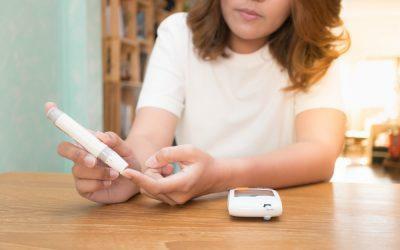 For people with diabetes, medications — particularly insulin and the sulfonylurea and meglitinide classes of drugs, which raise insulin levels — can cause low sugars. You hopefully know about the danger signs of serious low sugar (called severe hypoglycemia). These include mental confusion, convulsions and seizures, and even loss of consciousness. Before you get to those danger signs, though, you will probably feel irritable and anxious (in addition, perhaps, to having other symptoms such as sweating, fatigue, and shakiness). You might say and do angry things you’ll regret later. In other words, we can feel the world is against us, or that people around us are acting like jerks, when the real problem is low glucose. Hanger is a hot topic on websites now. It’s a little different for people with diabetes, but many of the fixes and preventive measures are the same. • Fix.com says don’t go too long without eating — snack more often. It suggests eating every two to three hours, sometimes called “grazing.” Grazing can be good for some people with Type 2 diabetes, who may naturally have enough insulin to cover small feedings, but not a typical big American meal. • Make snacks healthy. Some snacks are good; others aren’t. Dietitian Dawn Jackson Blatner says snacks should include some carbs to raise glucose and some protein or fat to keep it stable. Sugary or refined foods will raise your glucose, but it will crash again quickly. Jackson Blatner suggests combining unsweetened fruit with nuts or cheese. • If possible, have protein, healthy fats, and/or high-fiber foods with every meal. These will tend to keep your glucose stable. The article also reports that certain foods seem to stabilize mood, without necessarily changing blood sugar. These include walnuts, cinnamon, and fresh vegetables. • Change medication or activity schedules to prevent lows. If you experience hanger, and if you’re taking insulin, a sulfonylurea drug (such as glimepiride [brand name Amaryl], glipizide [Glucotrol and Glucotrol XL], or glyburide [Dibeta, Micronase, Glynase]), or a meglitinide drug (repaglinide [Prandin] or nateglinide [Starlix]), ask your doctor about changing your drug, your dosages, or your medication schedules. Think about how you can change your food, medications, and activity schedule to avoid lows. • When in doubt, check your sugar. Sometimes families can bug you about checking your glucose. You might be annoyed for a very good reason, and they’ll say it’s your blood sugar talking. You can feel very disrespected, like your feelings aren’t real. But other times, they may be right. If you start to feel like life is hard and people are a drag, or if your spouse says, “Honey, you sound angry. Maybe you should check your sugar,” probably you should. You might be just a snack away from being in a happier place.